You can enjoy the best experiences to the fullest only if they happen spontaneously, they catch you off-guard, you are driven merely by your intuition and get carried away by the moment. It is the only way to hit a road not taken yet, take the plunge to try something you have never experienced before. Speaking of which, the new limited edition ABSOLUT FACET springs to mind. Spontaneous situations often make us look at things from an entirely different perspective. This is the only way to experience all shades and variations yet to be explored. The limited edition ABSOLUT FACET has been inspired by this very notion, the impeccable combination of extraordinary design and the well-established ABSOLUT taste. The unique bottle that houses ABSOLUT FACET is made from hand-blown glass boasting a surface of a multitude of tiny curvatures. The remarkable color of the semi-transparent bottle is the result of the cobalt-blue glass that speaks for itself and does not require any further decoration whatsoever. It is specifically manufactured to reflect light due to tiny curvatures as well as the pure and highly popular ABSOLUT vodka that gets poured in. 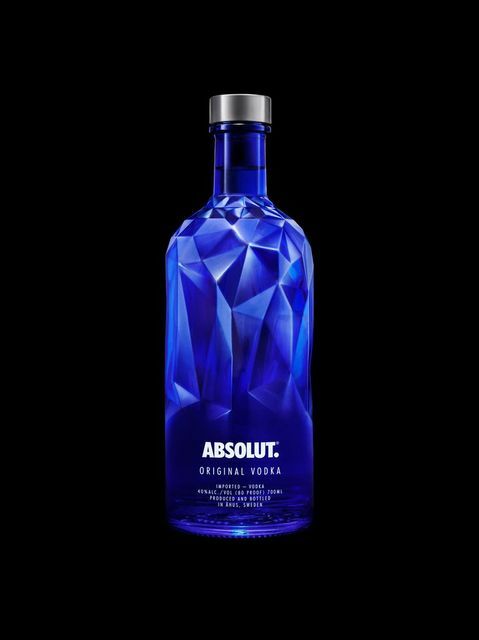 The asymmetrical ABSOLUT FACET bottle with its tapered edges evokes a precious gem. As soon as it absorbs light, reflections emanate in a playful display all around it. The design is a symbol of unlimited possibilities of a night ready to be explored by everyone, best enjoyed in moments out of the blue, happening in places induced by nothing but the night itself – just like the multitude of reflections of the ABSOLUT FACET bottle. Long story short, the awesomest moments in life happen absolutely unexpectedly. ABSOLUT FACET is for everyone brave enough to explore uncharted territories presented by sheer coincidence. If you go to the same places accompanied by the same folks having the same drink over and over again, it may be time for change. The best moments in life are impossible to plan, yet they are the ones that are enjoyed the most. Just like the absolutely exclusive #absolutnights that bring along a plethora of memorable and unexpected experiences. ABSOLUT FACET follows the tradition of highly popular previous limited editions of ABSOLUT Warhol and ABSOLUT Electrik. ABSOLUT vodka fans all around the world can definitely look forward to the 2.5 million bottles of this unique limited edition ready to be enjoyed neat or in mixed drinks. Quit planning and get carried away by your intuition. Stay tuned for updates on the ABSOLUT Facebook account.